You Are Here: Home > Why Buy From DePaula? Any decision to purchase a vehicle is bound to be accompanied by countless hours of research, number crunching and all sort of variables that require exploration. 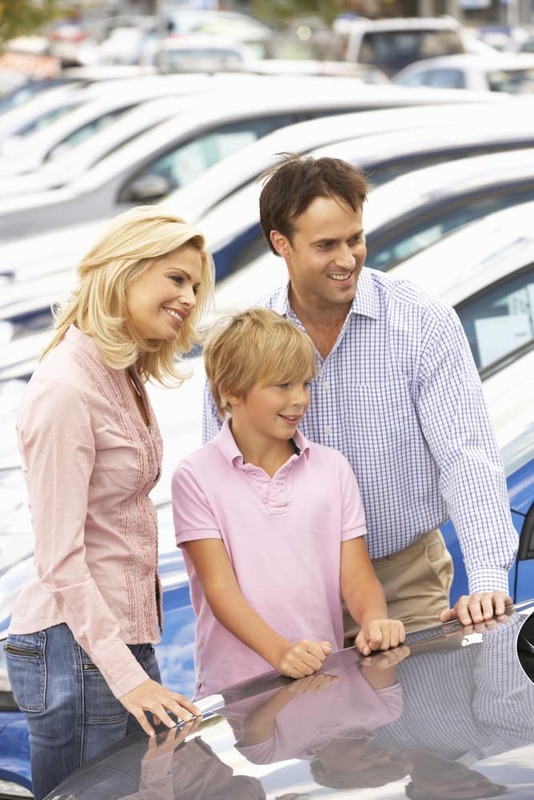 But considering how easy it can be to fall down the rabbit-hole of makes, models, and trim levels it is surprising how many car buyers prove far-less discriminating in selecting the dealership they do business with. Choosing a dealership is to choose a partner in one of the largest investments made by an individual. Considering your investment of time, resources and money car buyers are doing themselves a true disservice by not selecting a partner who may have their best interests at heart. So why buy from DePaula? Up-front Pricing! The price you see is what you pay. Full Service! Buy it here and service it here! While such awards speak to the satisfaction of past customers, it is only a testament to past customer experiences. That said, it is a perfect invitation for all customers to find out for themselves by exploring DePaula Chevrolet’s superior service. Consider for a moment the wealth of award-winning offerings from Chevrolet, who stands unchallenged as the most award-winning automaker in the industry. In fact, the strength of Chevy’s offerings may be best told by J.D. Power and Associate’s Dependability Awards, which Chevy has received across their entire line for two years in a row. From the Most Dependable Small Car (Sonic) and Sports Car (Camaro) to Large SUV (Tahoe) and Heavy-Duty Pickup (Silverado HD), the reliability of a Chevy is indisputable. But reliability is far from the only attribute in which Chevy offerings excel. Named the North American Car of the Year, the Chevy Bolt EV won acclaim as a sustainable offering. Supplanting the Chevy Volt as Green Car Journal’s Car of the Year, it is one of several 2017 models selected as an IIHS Top Safety Pick, a Car and Driver 10Best and a Kelley Blue Book pick for Best Resale Value. In fact, countless awards have been showered across Chevy’s line. The fun and funky Chevy Spark proves that it offers more than just smart urban design, with a KBB pick for Cost-to-Own Value. The Chevy Malibu (and its hybrid variant) earn the title of ‘Best Car for Families’ from U.S. News & World Report, who also recognizes the iconic Chevy Impala as ‘Best Large Car for Money’. And like the Camaro before it, flashy offerings such as the legendary Corvette continue to win acclaim with the 2017 model picked by Car and Driver as a ‘10Best’. Chevy’s crossovers and SUVs are just as highly acclaimed, beginning with the Chevy Trax, which earns KBB awards for ‘Most Fuel Efficient SUV’ and as one of the ‘Tech-Savviest Cars Under $20K’. The Chevy Tahoe earns IIHS ‘Top Safety Pick’ status, while the Chevy Traverse is U.S. News & World Report’s choice for ‘Best Large Car for the Money’. The Chevy Tahoe rakes in almost too many awards to count, celebrated for its value, dependability and as an ideal choice for families; and the Chevy Suburban is recognized for having the ‘Best Resale Value’ for a Full-Size SUV. And, of course, Chevy truck offerings are just as well-awarded. From ‘Best Compact Truck for the Money’ (U.S. News & World Report to ‘Most Wanted’ (Autobytel) the Chevy Colorado offers celebrated the cost-to-own value and best-in-class towing capability. Combined with the Chevy Silverado’s dependability and value there is no shortage of options worth considering. Regardless of which offer best suits the demands of your lifestyle, Chevy has you covered. And all new vehicle offerings show Chevy’s commitment to the inclusion of available technologies in all of their models and trim levels. Bottom-line, you will not be disappointed. Having been recognized as the Chevrolet’s #1 Pre-Owned Dealer in the Northeast, DePaula offers a wide range of used vehicles in a variety of makes and models, as well as Certified Pre-Owned Chevy. That’s right. Don’t let the bowtie fool you because DePaula’s used vehicle inventory consists of far more than just Chevy offerings. And the GM Certified Program stands as one of the most value-added CPO programs in the industry, offering countless incentives to consider buying a pre-owned Chevy. DePaula Chevy is dedicated to building a buying experience based on your needs, your budget and your time. Today’s world isn’t nine-to-five, and with that in mind, we are available 24/7 to respond to your calls, emails or online chats. We invite you to explore our website, which is built to provide you with a wealth of tools to inform you in your decision-making. You’ll find thorough online profiles for every vehicle on our lot, as well as a breakdown of factory specifications, vehicle features. And with a click of the mouse, you can even look over a CarFAX vehicle report for our used vehicle inventory. Value your trade-in. Calculate a payment. Schedule a test drive. All of these tasks can be performed online, in the interest of respecting the demands that are already placed on your time. And when you visit DePaula Chevrolet in person, you’ll find a truly customer-centric experience. Our dedicated staff will continue to make car buying as easy as possible, and we are glad to offer countless amenities to our customers, whether they are buying or bringing their vehicle in for service. It’s more than just coffee and WiFi; from our children’s play area to the availability of workstations for use by professionals, from weekend hours to our available shuttle service, we operate with you in mind. Set aside the awards. Disregard our inventory. Forget our value-added programs and offerings. More than anything else, our commitment to our customers is the best reason why you should buy from DePaula Chevrolet. We appreciate you (not just your business).